Music came from the Tatts July sale for 12,500gns, a little cheaper than she might have been due to her unusual "wall eye". 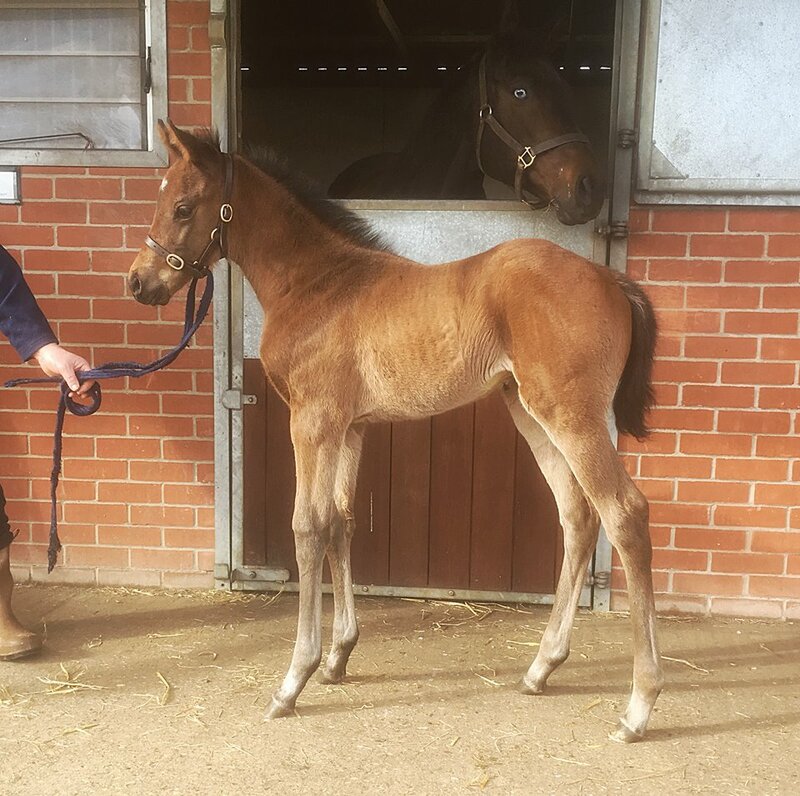 She is a winner, and a full sister to listed winner Go Angellica. Her dam has produced 5 foals of racing age, all 5 of them winners. 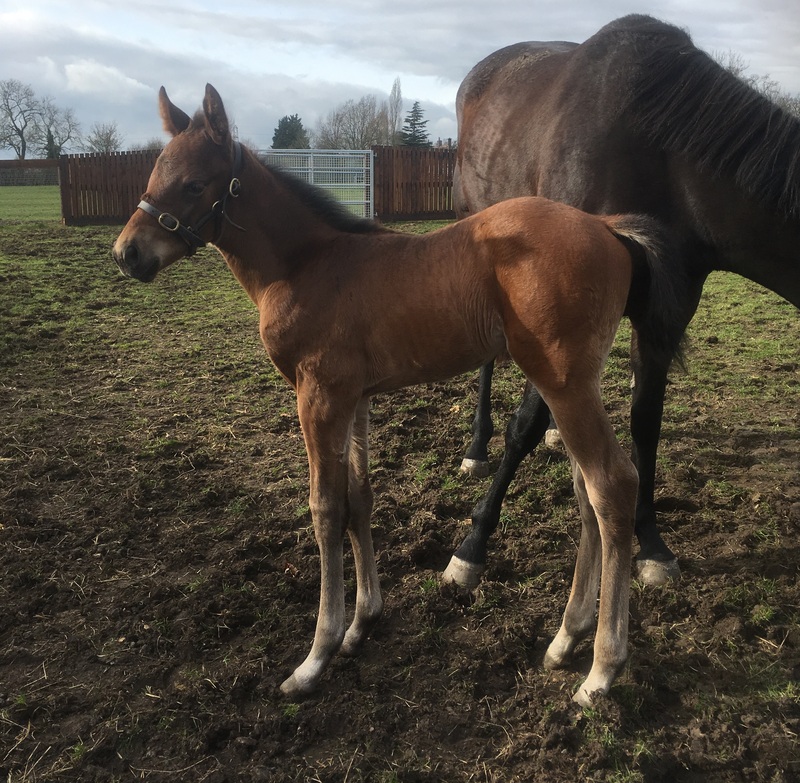 She had her first foal in February 2017, a colt by olympic Glory, followed by fillies by Twilight Son (2018) and Outstrip (2019). She has been scanned in foal to Poets Word in 2019. 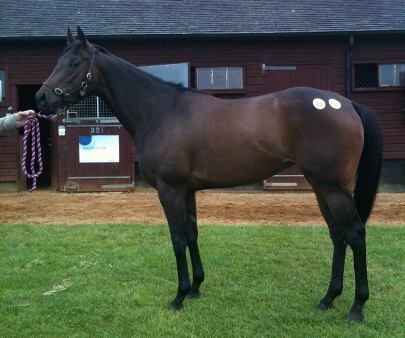 Sold at a yearling to Joe Foley. GNAAD 2014 c by Invincible Spirit - winner of 4 races in 2017. J'OUVERT 2016 F by Dawn Approach. UNNAMED 2017 F by Night of Thunder. 2019 - covered by Exceed and Excel in 2018. ASCOT DAY 2014 G by Kheleyf. Multiple winner including Class 2. OR90. 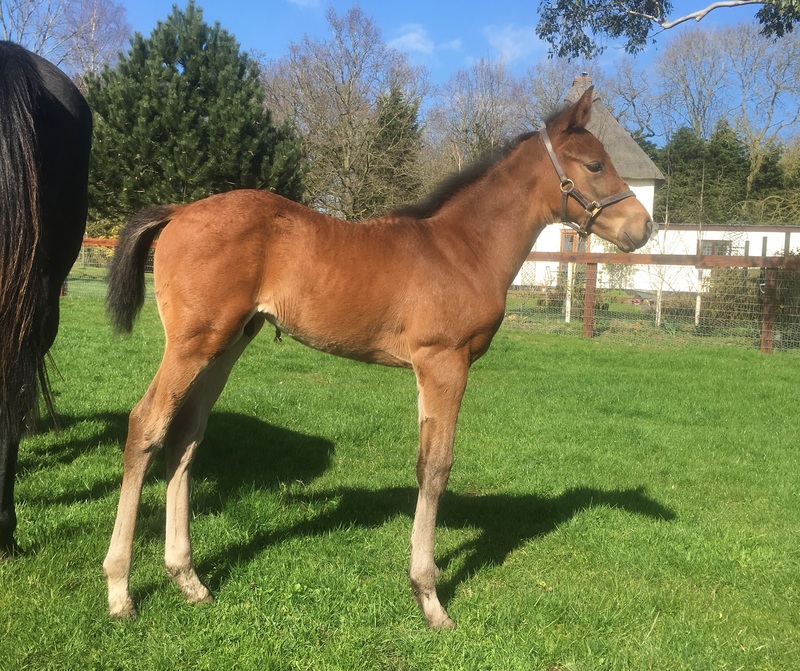 UNNAMED 2017 C by Brazen Beau 70k yearling. UNNAMED 2018 C by Markaz. 2019 - covered by Twilight Son in 2018. 2019 - covered by Slade Power in 2018.